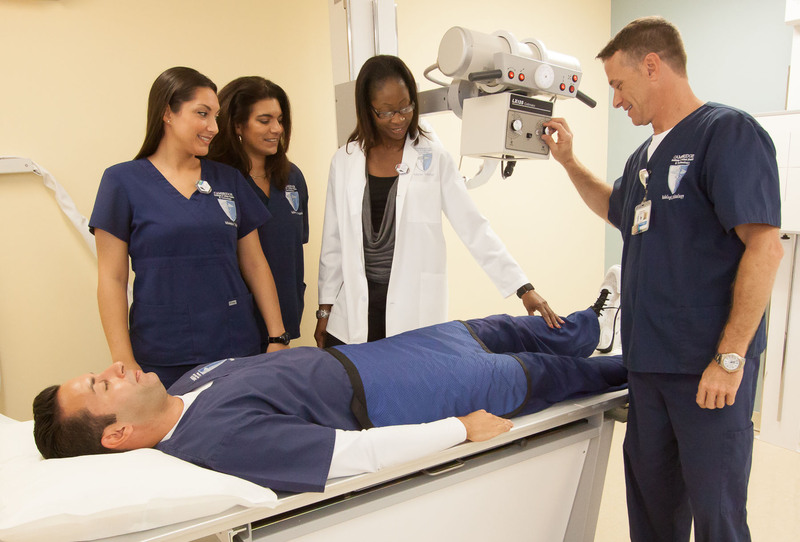 Students looking to achieve an Associate of Science Degree in Radiography can do so at our Delray Beach Campus located on the campus of Delray Medical Center. This program is two years in length and consists of classroom, laboratory, clinical, and general education course work. This is a great opportunity for those students looking to reach the next level of their professional education. Radiography prepares the student to become a medical radiographer (Basic X Ray Machine Operator). Students receive their training on campus and in the radiology departments of affiliate hospitals, medical centers, and other health facilities. The departments of radiology are equipped with state-of-the-art radiographic equipment. On campus, students practice their newly acquired skills under the direct supervision of qualified staff. As a radiographer, the graduate will join other allied health professionals educated and experienced in the latest technical procedures requiring the use of X-rays and other imaging modalities for the diagnosis of medical conditions. Radiographers serve a vitally important role as a “hands-on” technical assistant to the radiologist, a physician who specializes in applications of all forms of ionizing radiation.